How is Thrive: The Highly Sensitive Person and Career Different? Why You Should Read It. My new book, Thrive: The Highly Sensitive Person and Career has been out now for about three months and, though the feedback has been supportive and encouraging, I think it is worthwhile to point out the ways in which this book is different than other books you might have seen. #1 Thrive is based on scientifically conducted research. I conducted two studies that contribute data to this book. The first utilized interviews with dozens of HSPs from all walks of life. The second study was a big survey with 1,551 respondents. The data from both studies provides an empirical basis for all of the chapters in the book. Some books are written solely from an author’s own viewpoint, which is inherently limited and limiting. The studies I conducted for Thrive taught me that the issue of career and highly sensitive people is deeply complex with intricate nuances and divergences. What determines suitability for a particular career for one HSP is not reality for the next. We HSPs are complex, creative, resilient individuals, but we each have a unique story, which makes writing any book for HSPs quite difficult because everyone is looking for themselves in the book. By using carefully gathered data and compiling that information into new knowledge we hopefully arrive at a wisdom that is of some value to us all. #2 Thrive was written by an HSP for whom the issue of career has great meaning. Sometimes books are written by authors who think addressing a particular topic will yield a best-seller. I wrote Thrive because I have been deeply troubled over the issue of career in my life and have wrestled with many of the same issues as you may have. The difference is I have largely moved beyond those issues and taken it upon myself to seek answers for us all because there was no book that was up to date addressing the issues and opportunities of 2015. Thrive hits all of those issues and is state of the art as of 2015. In a few years there may be new opportunities and/or challenges and you can bet I will be observing and thinking about how those all affect us. A second edition will likely be issued in a few years to keep us up to date. #3 Thrive announces new findings. Though some things have been implied with regard to HSPs, in Thrive I announce several clear new findings. 86% of the HSPs in my survey identified as a “creative person.” The link between creativity and HSPs has been implied and assumed in the past, but no real evidence existed until now. This isn’t mind-shattering, but it does provide a general sense that we, as HSPs, think of ourselves as existing within the realm where divergent thinking, tolerance of ambiguity, curiosity/exploring, and openness to new experience are likely prized. This understanding may be a revelation to some HSPs. The uniting concept of flow is presented for the first time. Though flow, which is a concept created by psychologist Mihaly Csikzentmihaly to describe the state one is in when engaged in a challenging task where time becomes lost and the activity becomes worth doing for its own sake is entered, is not new it is the first time it has been used as a way of uniting all HSPs in what can be an uplifting and energizing experience. We all need flow experiences to keep us growing, confident, and challenged. Even if we are down on our luck and out of work it is still possible to engage our capacities and rebuild our confidence. Flow experiences feed into the part of HSPs that craves creative challenge, tangible results, and a sense of accomplishment often missing in today’s working world. Real statistics revealing the most popular careers for HSPs. My survey of 1,551 HSPs is the first of its kind to explore HSPs and career. Through the data gathered we now know the relative distributions of HSPs in careers. Though this does not mean you should simply choose the most popular category because HSPs seem to prefer that it does offer us a view, for the first time, into the choices HSPs make. One might be tempted to assume that HSPs would all prefer a quiet career with minimal interactions, but that notion would be limiting and not representative of the reality that all HSPs are different. We now know that HSPs are represented in every career field! This should help us refrain from the tendency to homogenize HSPs into one limited view. Thrive is written from a pragmatic view. Some books are guilty of over romanticizing the potential in career for HSPs. The reality is the work world is ugly, challenging, and demanding with many of us feeling stuck because of financial responsibilities, lack of education, personal difficulties, or fear. Some might say this smacks of drudgery and despair, but I know the reality to be different because I have been there. It’s not fair to overly romanticize the possibilities in a world that is inherently unfair. However, it is useful to explore the potential that exists within every career field for meaningfulness, growth potential, and satisfaction. I have included a broad discussion of trade work that I think some HSPs would be very well advised to consider. In that sense I have offered a complete view of work in all its possibilities and not just glamorized a few select ones that are probably not a reality for many. That’s not to say I am not bullish on the potential of HSPs, indeed, we are the creative class! It is important, though, to be frank about the actual possibilities in 2015. The emphasis on self-care. Many books touch on self-care, but what I found through conducting the two studies indicated that we HSPs need to move beyond superficial, token attempts at self-care and begin to embrace it with a spiritual passion. This might seem to place too much emphasis on the individual at first glance, but I assure you it is a holistic conceptualization of self-care that includes our need to socialize and be in the world. If we cannot find it within ourselves to take care of our bodies, minds, and hearts there is no way we can avoid stresses like anxiety, depression, and a host of other maladies that limit who and what we can become. One of the biggest takeaways I want HSPs to remember? That self-compassion is self-care. We need to learn to be gentle and loving with ourselves for when we fail to manage ourselves well and end up exhausted and overstimulated. Thrive opens that conversation with self-care representing such an important topic as to warrant its own book. Thrive provides context. Many of the books addressing sensory processing sensitivity have been written from a psychological perspective. This is due to the fact that SPS was developed by a clinical psychologist and further explored by other psychologists. I differ in that I am a trans-disciplinarian and can speak from several disciplines. In Thrive I provide a sociological context within which we HSPs live and work. That context includes gender, social class, and culture, which serve to separate HSPs in many important ways. As awareness of HSPs continues to rise it is important that we are provided, and seek out, accurate information that will increase our awareness of the real complexities that exist in our lives. It will be through individuals who are not beholding to any one discipline that we will be able to cover the actual web of complexity. #4 Thrive, though different in some respects, provides a solid foundation in the area of career that complements other books, while expanding on the discussion in ways only possible through carefully conducted research. Many times a book is released and that’s the end of it. Perhaps a few are reissued in a few years as second editions with some minor changes. Thrive will be the exception with new editions incorporating the latest thinking on careers for HSPs as time progresses. In fact, I’ve already had a few thoughts for things that were left out of this first edition and that will, no doubt, appeal to some HSPs in ways this book does not. It is also worth noting that all of my research is privately conducted with no government funding of any kind. By supporting this book, and spreading the word to others, you are making it possible for new editions to be published and future books on topics of real relevance to HSPs to be written. If you would really like to help spread the word about Thrive I invite you to leave a review on Amazon.com. I welcome and invite all constructive feedback regarding future topics you would like to see addressed or expanded on in future editions. Thrive: The Highly Sensitive Person and Career is available at drtracycooper.com. Sensitive – The Untold Story: Where You Can See It! For all those who are interested in viewing the movie here is the link where you can rent or purchase the new documentary movie about highly sensitive people. Note this is for the digital download and not the dvd which will be available in November. This is a wonderful movie packed with information and hard science. I’m proud to have been a part of this movie and pleased to recommend it to all as a quick introduction to the personality trait that has defined many of our lives. You can rent or purchase the film about us right here. It is up through VHX, “the Netflix for Everyman.” Not sure how to do it? You pay to download it onto your computer to own it, or you can rent it. You then watch it on your computer screen, or hook your computer up to your TV. Still unsure? Use the FAQs on the website or ask around for help. If you want it the old way, on a physical DVD, it will be available before the holidays, with subtitles for several languages. That all takes a little longer. It happened very suddenly. Will and Diana Harper (the director and producer respectively) and I had discussed how to distribute the movie. There were so many uncertainties, except for the certainty of time delays. We felt impatient and protective at the same time. We ruled out film festivals (about a year and a half to be shown). A network like Discovery or BBC would be nice, but very complicated and at least many months before it would be shown. There’s Netflix, but even that was also going to take at least five months. Then there is VHX, something new. Instant. Here’s an article on VHX if you are interested (scroll down a little probably). Meanwhile, this morning Alanis Morissette launched her new website, with many interesting features, but HSPs are there as well and the movie. I was musing this morning that this is happening on October 12, Columbus Day in the U.S., “the day Christopher Columbus discovered America,” as the saying goes. There are many reasons to hesitate about celebrating that. But the day is symbolic of discovery, yes? And what is the greatest discovery? Ask Walt Whitman in “A Passage to India.” It is self discovery. Or Self-discovery. Everything is ultimately in the Self, from which we act with the greatest wisdom. So, today many more HSPs and their families will understand this part of life, the trait of sensitivity. May it be a doorway to greater and greater discovery. This paper presents a view of emergence as an integral leader in the community of individuals who have the personality trait sensory processing sensitivity, aka: highly sensitive people or HSPs. Written from a first person point of view I specifically recount the organic pathway that eventually led to my emergence as a leader in the field of HSP research and leadership as it relates to the release of the documentary movie Sensitive – The Untold Story. “For the meaning of life differs from man to man, from day to day and from hour to hour. What matters, therefore, is not the meaning of life in general, but rather the specific meaning of a person’s life at a given moment.” – Viktor Frankl. My journey began in 2008 when I decided to return to college at the age of 43, but, in reality, began much earlier as a young child when I nurtured my sense of boundless curiosity about the workings of the world, and my imagination, with books, comic books, and literally anything with the printed word attached to it. I even was one of those odd ducks who studied the backs of cereal boxes in the morning, observed students in school with a mixture of interest and trepidation as I felt very keenly the myriad of differences in temperament in each person, and spent a great deal of my time wandering about on my bicycle. The depth of mind, creativity, and curiosity I possessed innately motivated me to remain forever on the fringes as an onlooker, but rarely a participant. Partly this was due to my highly sensitive temperament, which predisposed me toward deep thinking, high empathy and emotional responsiveness, a tendency to become overstimulated at times in certain circumstances (like crowded situations), and a nose for subtleties others overlooked in their haste. But, it would not be until midlife when I knew myself well enough and understood that my inner journey could potentially become woven with my outer journey that I realized my potential as an integral leader with something to say and contribute. My return to the official college world found me online at Fort Hays State University where I decided to complete a bachelor of general studies. This choice was made more to acquire the credentials I thought would help me alter the course of my adult life, which had to that point entailed many career changes as my inner world of emotions, quick responsiveness, and need for creative challenge and meaning found no significant place to call “home.” College felt like home in a sense because the inner world of the introvert I treasure so much could find expression in the coursework with the online format providing a freedom of expression aided by simple time to think before speaking and where my deep conscientiousness could be recognized. Finding myself with a certain freedom to choose from among many courses from across the liberal arts spectrum I found myself learning about astronomy, sociology, and the history of jazz. I had had previous experience in college with serious interests in fine art and early attempts at business management and computer information systems. The latter of which floundered due to sheer boredom and obvious mismatch. Sociology especially intrigued me as did psychology and I soon explored numerous variations in the inner and outer worlds, but my focus seemed to stray back to my beginnings as the son of blue collar parents from small town Missouri where people seemed to largely remain stagnant in their lives and often fall prey to alcoholism and other vices. In my innocent view I was at a loss to understand interpersonal issues such as poverty, spousal abuse, pessimism, and depression. Yet, I had grown up seeing dysfunctional human beings around me who seemed to blend, yet contrast starkly, with the other individuals for whom life seemed to have worked out reasonably well. As I neared the end of my bachelors program I began to question would it be possible for me to presume that I could pursue a master’s degree? As the first member of my family to graduate from high school and now to graduate with an undergraduate degree I felt fully the fact that I was in uncharted territory for my genome, yet I seemed to possess confidence in my abilities having experienced great success in my written work throughout my undergraduate degree. At the commencement ceremony the master of ceremonies asked all of the first generation graduates to stand and be recognized. I did and felt a sense deep in my heart that what I had achieved was momentous, but was not half of what I was capable of. I stood in line prior to the ceremony intently studying an individual wearing doctoral robes. His sleeves had velvet stripes and his hood displayed multicolored stripes denoting his school of study. Topping off the ensemble was a plush hat with a gorgeous golden tassel. I knew at that moment I wanted to be that guy! “Leadership is lifting a person’s vision to high sights, the raising of a person’s performance to a higher standard, the building of a personality beyond its normal limitations” – Peter Drucker. Following graduation I had already applied for and was accepted to Fort Hays State University’s Master of Liberal Studies program. I began the program with renewed confidence, but felt a sense of anxiety that I would be able to indeed match up to the demands. As it turned out I was exactly the kind of broad-based individual who would do well in such a program. In the MLS program I chose to follow a social science route and expand on my budding interest in poverty studies and what I came to realize is resilience research. The coursework called into question many notions I held and I slowly came to an awareness of cultural conditioning, social stratification, and a view through the sociological lens that partially answered some of the burning questions I had about human nature. By the end of the MLS program I had written a culminating paper on the psychological effects of “escaping” poverty and designed an online class exploring psychosocial dimensions of identity. In retrospect this period of work allowed me to formulate a tentative vision for the work that would ensue in the Ph.D. program I decided to enter in my hubris and self-acknowledged penchant for academic punishment. Much to my surprise I also encountered a major health scare at this intervening time when a cancerous tumor was found in my left kidney, which necessitated the removal of that organ entirely. Fortunately the outlook was excellent due to the tumor being caught at an early stage before it had had a chance to spread. During that period of extreme anxiety I reflected on my life to date and decided to enroll in that Ph.D. program that I had been contemplating and go for broke. I felt like the second chance in life I had been granted should be respected and honored by consciously choosing to transcend every self-imposed limitation I had experienced to date. Before my master’s hood had even had a chance to gain a wrinkle from being folded and stored I was in a plane for the first time in more than two decades flying to San Francisco, in route to Pacifica, California to attend my first residential intensive at the California Institute of Integral Studies. Arriving at the Pacific Ocean I breathed in the salt air and absorbed the energetic reality of the magnificent waves as they lapped and crashed against the beach. I felt energized, happy, and alive! Meeting my cohort mates, some 40 of them, all gentle, highly intelligent souls, I quickly felt a sense of comfort and belonging I had searched for, but not found in many years. My fellow Ph.D. students were of all ages, backgrounds, sexual orientations, and religions. We had everything from a wonderful Franciscan priest to a Universalist reverend to completely spiritual beings with no affiliation. Interests ranged from education, healthcare, and climate change issues to creative, spiritual, and social justice-oriented topics. I felt right away that these lovely individuals were integral in a way I had always aspired to. Many had already built successful careers, some were in career transition, and a few were searchers like myself. All valued the synergistic relationships that formed buoyed by often fascinating faculty members all very interested in these new arrivals. It would have been very easy at this point to have crushed all hopes of succeeding in a doctoral program with harsh expectations and arrogant demands, but this was an alternative institution founded initially as an institute of Asian studies eventually becoming an institution devoted to merging the best of East and West while focusing on real-world, cutting edge topics and supporting students existing way out on the perimeter of thought. The support and liminal spaces created became pivotal in encouraging the next portion of my journey to integral leadership: the topic. “Leaders aren’t born, they are made. And they are made just like anything else, through hard work. And that’s the price we’ll have to pay to achieve that goal, or any goal.” – Vince Lombardi. If the MLS program at Fort Hays State had cracked open the door to emerging awareness of existing social paradigms the depth and breadth of the doctoral program at CIIS broke it wide open and revealed the inner darkness of a society at war with itself continually shoving the parts of itself it no longer valued into the shadows, only to have them peek out and assert themselves through projection. We inhaled Jung, breathed out Slater, and imbibed Gebser. Consciousness, social constructionism, art, and rigorous research courses all fused with deep connections planted and nurtured among this budding community of scholars. What was this integral studies all about anyway? How about transdisciplinarity? Would we live up to what seemed like a monumental task, the crafting of a dissertation? Chief among those concerns was the development of a topic. The topic was what everyone asked each other at these week long intensives, “what’s your topic again?” Usually met by a concise explanation most of us hoped would suffice, or at least sufficiently confuse so as to ward off other questions. Somewhere in the symbiotic stew of a host of swirling topics I latched onto the personality trait introversion and felt it sink in deeply into my being. Yes, this was who I was, had always been, and might always be, at least from what I had read. Somehow, though, it didn’t quite satisfy my curiosity or how I felt I had experienced life. I knew there was more and found it when a book was recommended to me early on by a fellow student. The book? The Highly Sensitive Person, by Dr. Elaine Aron. At first I recoiled as I read about “cried easily,” and put the book away. I didn’t cry easily, I felt very deeply and was easily “hurt,” but that usually brought on anger or irritation more than tears. Did I consider myself a fairly emotion-based person? Yes, absolutely, and as I reread the book several times I came to embrace what Dr. Aron was explaining about the complexity of this new trait. Not only was it emotionality, it was also creativity, a depth of mind unusual in the rest of the population, high empathy, and a sensitivity to subtleties. I knew as an artist that I saw and felt things very differently and had gotten quite in touch with the part of myself that could wander in the woods looking for the twisted tree clinging to a cliff, the asymmetrical boulder or hay bales that suggested figures. But, the question begged an answer: was I a highly sensitive person and could I live with this reality? The Highly Sensitive Person – I Am! After spending some time reflecting on the learning and tentatively contemplating how being an “HSP” had affected my life I came to the comforting, secure realization that I indeed was an HSP. In fact, I was one hell of an HSP and an INFJ to boot! This realization explained so much and, for the first time, I no longer questioned “what’s wrong with me?” I knew there was, in fact, nothing wrong with me. More so, I felt an inner pull to follow this path to wherever it led, to base my dissertation on this subject as little research existed. I finally whittled the concept down to something more specific and chose to study HSPs and careers. The impact of being an HSP in a world built for non-HSPs had trampled me underfoot and passed me by with its conventional expectations of conformity, fulfilling mediocre social roles, and subscribing to a “herd” mentality that had always left me cold and feeling lost. My role was somewhere beyond convention with a pathway that was murky and unclear, yet passionately compelling and demanding of my life energy. I knew devoting myself to this “fringe” topic would not wear well in the conventional world, but it pulled me in head and heart with no promises other than much work that had the potential to empower millions of other HSPs worldwide. Finally free after completing comprehensive examinations I dived headlong into a qualitative study of HSPs as I attempted to ascertain how they experienced their careers and how being an HSP had affected their prospects combined with their highly individual choices. I was astounded to learn how familiar their stories were to my own and how they had struggled with boredom, frustrated creativity, and finding a place in a world of round holes when we were square, hexagonal, and every other shape except round. The complexity my study participants communicated to me struck my heart deep and I often felt their suffering keenly and knew I had to make this study count, I had to craft something worthy of their trust and soulful narratives. Ending my study at 35 HSPs I shouldered the mesmerizing task of making sense of 35 printed transcripts laid out throughout a living room now devoted to serious scholarly effort. Patterns soon emerged suggesting entire categories with each category containing subthemes and complexities I felt a deep responsibility to capture in their essence and vitality. Now sensing an ownership of this study and foreseeing the potential to write one or more books I carefully heeded the advice Elaine Aron had given me when we had met via Skype and discussed how to construct the most useful study. Finally arriving at a total of nine distinct themes I wrote the final dissertation and successfully defended it in July of 2014. By this time I had matured a great deal emotionally from this multiyear journey and emerged as an evolved, passionate scholar with a love of deep research and a mission to create a well-crafted book that would exemplify the results I had surmised in the dissertation, but for a more general audience. “A good leader leads the people from above them. A great leader leads the people from within them” – D. Arnold. “Please feel free to call on me if I can be of service to the HSP community,” I had said to Elaine Aron. She responded a few months later with “we want to interview you for the new documentary movie we are making about HSPs!” In November of 2014 I found myself again on a plane bound for San Francisco and an interview with the originator of the sensory processing sensitivity trait. Would I freeze up? Would I come across as completely weird? What was I doing? There is a certain anxiety that combines with a rush that comes from taking on big and scary new endeavors. I had learned that, in addition to being a highly sensitive person, I was also a high sensation seeking person. Far from being a thrill and adventure seeker I identified more deeply with experience and novelty seeking, a certain amount of disinhibition and a strong susceptibility toward boredom. These combining, sometimes overlapping traits, fueled me with a twin need for the rush of doing something new combined with a cautionary instinct to think it out well and observe, but now was the time to emerge from the shadows and stand up as what I now knew myself to be: a highly sensitive, high sensation seeking man with something to say! “You gain strength, courage and confidence by every experience in which you really stop to look fear in the face. You must do the thing you think you cannot do.” – Eleanor Roosevelt. “Tracy, would you talk about HSPs and careers?” Elaine Aron asked from one side of the camera, shielded from the extremely bright lights. I was off and running! As if in a dream the words flowed out from somewhere and amazingly they sounded credible, even to my ears. “Tracy, you conducted a follow up study after your dissertation study, is that right?” Elaine asked. “Yes.” From behind the camera a conscientious Will Harper, the director of the move coached, “Rather than a yes/no answer, would you say more about it so it’s a complete answer?” Aha, of course! Retake, “Tracy, you conducted a follow up study after your dissertation study, is that right?” Elaine asked again. The new explanation flowed out as if prerecorded and delivered by a practiced and confident public speaker as did the subsequent 60 minutes of questions and answers. Post interview it was decided that Elaine and I would retire upstairs to a dining room with a view of Tiburon, San Francisco Bay and, on a clear day, the Golden Gate Bridge. On this day it was foggy and pouring rain incessantly which left Elaine and I inside discussing intently the research I had conducted over a cheese sandwich she shared with me, a mix of whole nuts, and fruit. I smiled silently to myself as I enjoyed this interaction knowing that I had arrived at a point of respectability in the world’s eye that my father, who had passed when I was 15 and he 49, would have been elated by. Elaine was warm and genuine and supremely engaging. I felt very privileged to be there representing this work and discussing ways to move ahead in the research and personally. I realized that my next task was to write that book and get it out before this new movie premiered. Over the winter and into the spring I struggled with writing chapter by chapter, sometimes reordering the structure and, at times, deleting passages entirely. Finally hitting a stride in my writing I plowed through to the end and thereafter spent weeks tweaking words and thoughts, often adding material only apparent in retrospect. 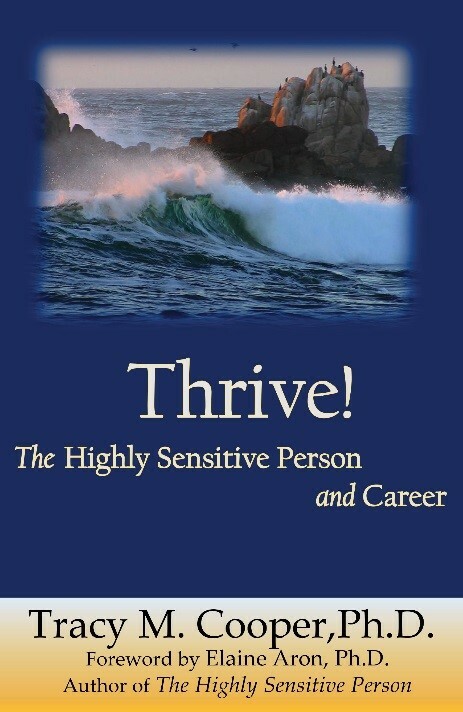 Thrive: The Highly Sensitive Person and Career was released in July of 2015. September 10th, 2015 – Venue: The Legion of Honor Museum – San Francisco, California. My birthday! I celebrated 49 years and awaited the premier of this long-awaited film from my home in Ozark, Missouri. My wife, Lisa, and I would view the premier via a livestream from the theater. The event begins with preshow interviews with researchers and others who appeared in the movie. The movie is prefaced by a quick introduction by Elaine after which the lights are dimmed and the movie flickers onto the screen to an audience of expectant HSPs from around the world in addition to the 350 people in the theater. As each aspect of high sensitivity is discussed along with supporting science I reflect on the role I have assumed and the long journey is had been to get here. When my first speaking part pops up on the screen after some 30 minutes I feel a rush of sensation as this shy, sensitive, creative, always on the outside observer is suddenly front and center and representing what he knows. I am speechless, all smiles, and filled with emotion as my three speaking parts eventually unfold on the screen and the movie concludes. “Make the most of your regrets; never smother your sorrow, but tend and cherish it till it comes to have a separate and integral interest. To regret deeply is to live afresh.” – Henry Thoreau. Following the premier of the movie I spent several days considering the implications of how millions of HSPs and non-HSPs will be affected by this wonderful and informative movie. I reflect on my new role as spokesperson for this trait and advocate for those who are still on the pathway to better understanding themselves. I have been consulting with HSPs for many months now on career issues, teaching more college classes, this time at Baker University in a master of liberal arts program, and moving forward with ideas for new research and new books. I feel a critical mass of three books that need to be brought into being, each with supporting new, original research. The first, on HSPs and career, is already out and in the minds of HSPs, the second is already underway and will address the high sensation seeking highly sensitive person, the third? The third book will directly address the highly sensitive male and provide a needed resource for making it acceptable to be highly sensitive and male in a society that does not seem to value sensitivity and espouses an extremely restrictive, unhealthy notion of what it means to be a male. Interested in developing the leadership capacity of each person through non-hierarchical, self-determining approaches where appropriate. Deeply empathetic with an intrinsic ability to “read” the emotions of another person and “feel’ when an individual or group is balanced and at ease. A superb planner owing to the deep thinking consisting of a reflective and contemplative capacity that explores ambiguity, ascertains options, and creatively surmises long-term implications. Notices subtle details others might miss entirely that uniquely qualify HSP leaders as meticulous, deeply conscientious individuals with a keen eye for detail. Innately creative in ways that go far beyond producing an end product as creativity permeates all they do. Focused on building the capacity of the community of individuals in their employ as well as continued, holistic development of their own inner person. Concerned with fairness in all business dealings, from employee compensation to customer service, and ethical business practices. Interested in the more complex implications of doing business in a way that solves real-world problems and raises the consciousness of all people and is not focused on the mere stockpiling of profit. 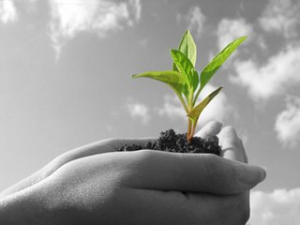 Committed to engaging themselves in meaningful projects with real impact and importance in the world. Very likely your most conscientious employee. “Great leaders are almost always great simplifiers, who can cut through argument, debate, and doubt to offer a solution everybody can understand.” – Colin Powell. A strict hierarchical leader interested in leading from above. Focused solely on the profit motive or exploitation of natural and human resources. Interested in engaging their significant capacities in trivial or superficial projects or working with superficial individuals. Suited to work that is repetitive, boring, or monotonous. The kind of individual one wants to attempt to exploit or manipulate as HSPs pick up on subtle energies much faster than others and may react accordingly. A stagnant leader one assigns to a no-growth position and expects them to remain. Interested in poorly planned projects or hasty decisions not based on reasonable and rational thought processes. HSPs may be deeply intuitive and prefer to build in long term strategies. The sort of individual one demands insights from on an instant basis. HSPs need time and space to think, reflect, and consider carefully, but when they have worked through an issue you can be assured they will have the deepest insights. The extraverted social butterfly you might like in all of your managers, but when they do speak you should listen. Interested in being the center of attention. This is overstimulating for many HSPs and they prefer to work somewhat behind the scenes. This is not always the case and many HSPs do extremely well as “performers.” Remember, though, if they perform they will very likely need downtime to recharge. “Treat people as if they were what they ought to be, and you help them become what they are capable of being.” – Johann Wolfgang von Goethe. Some of the deepest thinkers and innovators have been presumed to have been highly sensitive people, based on the historical record. A highly sensitive integral leader would combine a deep self-knowledge with a wisely considered and commiserate breadth of knowledge about the external world in all its grand complexities. HSPs, in a real sense, are the ultimate integral practitioners because of our deep, rich inner lives, compassion for others, sense of mission usually resulting in committed conscientiousness, and innate creative dispositions based in an intrinsic sense of curiosity about the world. “A leader is best when people barely know he exists. When his work is done, his aim fulfilled, they will say: we did it ourselves.” – Lao Tzu. The highly sensitive integral leader is uniquely poised to make an impact on the 21st century as the changing cultural landscape often values complexity, inclusiveness, and greater equality for all. In my experiences as an emerging highly sensitive integral leader in the HSP global community I often pose the question to myself “what is the goal in raising awareness about HSPs in the world?” My inner reply is because it seems obvious to me when I view world events that too many groups are still constrained and controlled by consciousness-destroying ideologies and ways of being designed to perpetuate unequal, unfair, and unsustainable economic and social models. The goal, then, in raising awareness of the personality trait sensory processing sensitivity is to help others become empowered in personal ways that can lead to greater well-being that can spread to our families, our communities, and, to a greater extent, the world. When we leave behind oppressive socially constructed roles and modes of being and begin to decide consciously who and what we will represent in this brief moment of life we begin to truly live and cease to impose the will of controlling ideologies on our brothers and sisters. If being a highly sensitive integral leader should mean anything it’s embodying a visionary, compassionate, creative, self-created way of being that is autotelic, synergistic, and in line with enhancing and building the inner and outer capacities of others to encourage strong, equitable communities where all individuals may reach their full human potential. 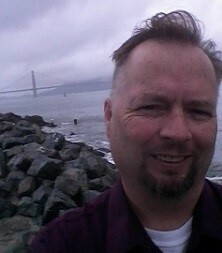 Dr. Tracy Cooper is the author of The Highly Sensitive Person and Career, an educator, and a consultant helping highly sensitive people in career transition at his web site: drtracycooper.com. He holds a Ph.D. from the California Institute of Integral Studies in Transformative Studies and is currently working on a new book addressing the high sensation seeking highly sensitive person. Recovery from ACEs (Adverse Childhood Experiences). Is it possible? Is it practical? Why not just let sleeping dogs lie? Many of us who suffered ACEs (myself inclu ded with seven ACEs) feel the effects of childhood trauma, neglect, and abuse in the form of increased risk of depression, anxiety, autoimmune diseases, fibromyalgia, cancers, chronic fatigue, and many others. Further, ACEs actually alter an individual’s DNA in real ways, as previously covered in my article 7 Ways Childhood Adversity Changes Your Brain (a response for HSPs). In that article I listed three main points, as outlined by author Donna Jackson Nakazawa. individuals with four or more ACE’s were twice as likely to be diagnosed with cancer than those with no ACE’s. for a person with a score of four or more ACE’s the risk of depression was 460% more likely than for those with zero ACE’s. 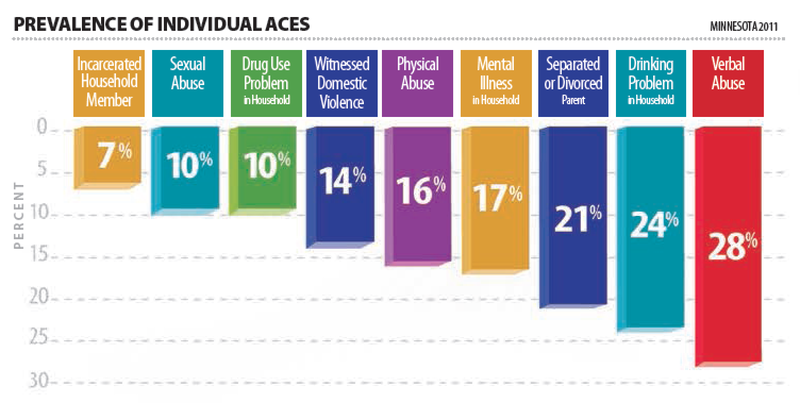 an individual with six or more ACE’s might expect to have their life shortened by nearly 20 years. Epigenetic shifts in which the stress response is set to “high” for life through alterations in gene markers in the brain. Size and shape of the brain with a shrunken hippocampus leading to overreactions to minor stresses in life. Neural pruning in which chronic neuroinflammation owing to ACE’s predispose us to further issues as we face the adult world, which is often unforgiving of any individual who cannot simply “leave it at the door.” Many HSPs suffer in quiet and, in fact, may be suffering from inflammation in the systems of the body. Telomeres, which are the end caps of DNA strands. In those with ACEs telomeres are less able to prevent the unraveling of DNA strands, potentially leading to disease and premature aging. Default Mode Network in the brain experiences less connectivity leading the individual to be less capable of discerning what is relevant and what is not, often resulting in serious overreactions. Brain-Body Pathway – systemic, chronic inflammation from head to toe with lessened effectiveness of immune system responses. Brain Connectivity weakened with less connectivity between the prefrontal cortex and the hippocampus leading to greater levels of fear and anxiety in everyday situations. Now I would like to cover a separate article by Nakazawa in lieu of publication of her followup to this article and relate it to HSPs. The article is titled 8 Ways to Recover from Post Childhood Adversity Syndrome and details a number of strategies that I think are worthy of consideration for HSPs. Nakazawa observes “Science tells us that biology does not have to be destiny. ACEs can last a lifetime but they don’t have to. We can reboot our brains. Even if we have been set on high reactive mode for decades or a lifetime, we can still dial it down. We can respond to life’s inevitable stressors more appropriately and shift away from an overactive inflammatory response. We can become neurobiologically resilient. We can turn bad epigenetics into good epigenetics and rescue ourselves.” With this optimistic view let’s look at each of her 8 strategies and relate them to HSPs. 1. Take the ACE Questionnaire. The ACE questionnaire will tell you your ACE score and, thus your risk factor for any or all of the factors mentioned above. Vincent Felitti, co-founder of the ACE Study “When we make it okay to talk about what happened, it removes the power that secrecy so often has.” By our willingness to address our ACEs directly we are removing their emotional power over us and beginning the journey to healing. For HSPs I cannot imagine a better thing to do for ourselves if we suffered ACEs in childhood, and many did judging by my and other researcher’s statistics. It’s true that many people would rather the past stay in the past, as it were, and move on with life attempting to forget and forgive, but the aforementioned lifelong effects of ACEs may prevent our doing just that as we deal with the lingering health-related and emotional impacts of ACEs. I, for one, have had cancer at a young age (44) and was lucky enough to catch it early. Whether the cancer was due to ACEs we will never know, but anything we can consciously do that will improve our health, including our emotional health, is certainly worthy of our time and attention. Take the ACE questionnaire if you have not and know your score. 2. Begin Writing to Heal. Keeping a journal can be a potentially useful way to practice self-therapy, while not having to divulge these intimate details to a stranger. I suggest taking Pennebaker’s advice and writing for at least 20 minutes per day detailing your ACEs. If you are middle-aged (like me) you will likely have some perspective on the event/s and greater wisdom than you might think possible. Most of us, by middle age, have raised children of our own and lived through many trying experiences and likely have a deep, rich perspective regarding how we were parented. Writing that out can be very therapeutic with real benefits. Give it a try! “A growing body of research indicates that individuals who’ve practiced mindfulness meditation and Mindfulness-Based Stress Reduction (MBSR) show an increase in gray matter (link is external) in the same parts of the brain that are damaged by Adverse Childhood Experiences and shifts in genes (link is external) that regulate their physiological stress response. According to Trish Magyari, LCPC, a mindfulness-based psychotherapist and researcher who specializes in trauma and illness, adults suffering from PTSD due to childhood sexual abuse who took part in a “trauma-sensitive” MBSR program, had less anxiety and depression, and demonstrated fewer PTSD symptoms, even two years after taking the course. Many meditation centers offer MBSR classes and retreats, but you can practice anytime in your own home. Choose a time and place to focus on your breath as it enters and leaves your nostrils; the rise and fall of your chest; the sensations in your hands or through the whole body; or sounds within or around you. If you get distracted, just come back to your anchor. Here (link is external) are some tips from Tara Brach, psychologist and meditation teacher, to get you started on your mindfulness journey. The practice of mindfulness has become something of a fad in the US, with good and bad press depending on its application, but the effects of developing and maintaining a contemplative practice are solid and HSPs should work assiduously to experiment with various practices to find one/s that work for them. Acknowledging that many HSPs may find it difficult to “calm the mind” due to the deep extent to which we process all experience combined with cultural conditioning to withstand a near constant stream of bombardment to our senses I suggest walking mediation or some other form of contemplative practice that serves the purpose of quieting your mind and focusing just on the most basic of life processes (the breath). I would add to this advice that HSPs need to go beyond calming the mind to practicing a holistic self-care practice that is as deeply embedded as any spiritual practice. Very often we live far out of touch with our bodies and reside only in our minds unaware of bodily systems, until something breaks down. My advice is: address your diet, remove items like refined sugars, salt, and highly processed foods as much as practical. Get enough rest (sleep) each night, and associate with quality individuals who uplift you on a regular basis. This may be one or two close friends (probably normal and the top limit for many HSPs). Concurrent with positive associations with others work to remove negative individuals, narcissists, bullies, and other deleterious people from your life. You don’t need them if you have suffered ACEs and, frankly, life is far too short to waste our precious time on more suffering. Yoga, for those who do not know, is much more than the physical exercise poses so popular now. Yoga has been practiced for thousands of years and is primarily intended as a means of attaining a continuous state of peace of mind so one might truly experience oneself and unite with the universal. In Western countries Hatha yoga is primarily practiced for its physical benefits, but also for its inherent spirituality. For HSPs, developing a yoga practice might be ideal and is one that can be started at a lower level of exertion working up to more advanced poses. There have been some incredible health turnarounds in people who were formerly disabled. Too often we accept our health situation, but our bodies will only respond to as much as we demand from them. “Sometimes, the long-lasting effects of childhood trauma are just too great to tackle on our own. In these cases, says Jack Kornfield, (link is external)psychologist and meditation teacher, “meditation is not always enough.” We need to bring unresolved issues into a therapeutic relationship, and get back-up in unpacking the past. When we partner with a skilled therapist to address the adversity we may have faced decades ago, those negative memories become paired with the positive experience of being seen by someone who accepts us as we are—and a new window to healing opens. Therapy with the right therapist can be very helpful, even life changing, but with the wrong therapist a total waste of time. Few psychologists/psychiatrists acknowledge or appreciate the role sensory processing sensitivity may play in the lives of HSPs. The number is increasing as awareness increases, but finding the right relationship with a trusted therapist can be a tricky, and frustrating, experience. That being said, working through ACEs with a skilled therapist can the quick way to healing. It is true we can work on ourselves through reading and researching, but a trained and experienced psychologist, or other therapist, has likely seen hundreds of people with similar issues and knows how to help you best. Should you be on psychotropic medications? That will vary with each person. Some will benefit, while others may find the side effects to be too troubling. Are they worth experimenting with to ascertain their potential benefit? Possibly, but proceed with extreme caution as many drugs are highly addictive and difficult to monitor. My advice would be to consult with a skilled psychiatrist regarding these types of medications and, even then, to remain on them only as long as beneficial. Psychotropic medications are not meant to be utilized for a lifetime, yet many are on them for better or worse. It’s an individual decision, of course, and one that should be made in concert with the best psychologist, family doctor, and psychiatrist available. Complement that with an awareness on the part of your loved ones regarding your planned course of medication therapy so they know and understand how your behavior and demeanor might change. As with any medication you must take them as directed or they will not reach full effectiveness the way your doctor intended. “Electroencephalographic (EEG) Neurofeedback is a clinical approach to healing childhood trauma in which patients learn to influence their thoughts and feelings by watching their brain’s electrical activity in real-time, on a laptop screen. Someone hooked up to the computer via electrodes on his scalp might see an image of a field; when his brain is under-activated in a key area, the field, which changes in response to neural activity, may appear to be muddy and gray, the flowers wilted; but when that area of the brain reactivates, it triggers the flowers to burst into color and birds to sing. With practice, the patient learns to initiate certain thought patterns that lead to neural activity associated with pleasant images and sounds. This option, for HSPs, may be intriguing, but the availability of EEG Neurofeedback may be an issue for many. In addition to the potentiality inherent in the EEG Neurofeedback technique I suggest that, once an individual has developed and is maintaining a strong self-care practice (including a contemplative practice) it is likely the ability to control overreactions and calm the mind will increase commensurately. Many times, for HSPs, we feel the emotion flaring as soon as we are stimulated, the difference is in our ability to quiet the intensity of the emotion, which is often anger. Through the practices outlined thus far I think it is likely a dedicated practitioner of self-care will have some ability, over and above a person who has not developed a contemplative practice or engaged in self-care to the extent I have advocated for, to moderate the intensity of a given emotion and self-sooth. Learning to observe an emotion without reacting, as often advocated in mindfulness practices, is a difficult process, but well worth the effort. “Eye Movement Desensitization and Reprocessing (EMDR) is a potent form of psychotherapy that helps individuals to remember difficult experiences safely and relate those memories in ways that no longer cause pain in the present. Here’s how it works: EMDR-certified therapists help patients to trigger painful emotions. As these emotions lead the patients to recall specific difficult experiences, they are asked to shift their gaze back and forth rapidly, often by following a pattern of lights or a wand that moves from right to left, right to left, in a movement that simulates the healing action of REM sleep. The repetitive directing of attention in EMDR induces a neurobiological state that helps the brain to re-integrate neural connections that have been dysregulated by chronic, unpredictable stress and past experiences. This re-integration can, in turn, lead to a reduction in the episodic, traumatic memories (link is external) we store in the hippocampus, and downshift the amygdala’s activity. Other studies have shown that EMDR increases the volume of the hippocampus. EMDR seems to offer great promise for HSPs, though it may also prove to be quite traumatic in reliving memories the risk is likely worth the effort if we can reverse some of the damage to key area s of the brain and improve well-functioning. Again, the locating of a trusted therapist would be crucial to such an undertaking because we HSPs experience the emotions associated with ACEs more deeply and it feels very vulnerable to expose ourselves in such ways. Knowing the individual we are working with understands sensory processing sensitivity and our likely responses to therapies will help make the process/es more useful and less frustrating. Mentioned before, but the role of positive others in our lives plays a significant role that cannot be overemphasized to HSPs. Though most of us need a good deal of alone time to recharge and process we also need to be bonded to trusted others. Finding such friends is perhaps easier said than done, but the rewards are immediate in the body. Creating and nurturing healthy relationships is, and should be, a key strategy on our path to healing from ACEs. Though this article can only hope to begin the conversation surrounding ACEs and HSPs it is at least clear that there is hope in mitigating the lingering effects of ACEs. As more strategies become available I will, of course, pass them along to all HSPs with my considered thoughts on each technique. For now, the above mentioned strategies provide us with a starting point each of us should explore as we begin our oath to healing and, eventually, to thriving. Tracy Cooper, Ph.D. is the author of Thrive: The Highly Sensitive Person and Career. Dr. Cooper appeared in the new documentary movie Sensitive – The Untold Story and provides consulting services for HSPs on the topics of career and the sensation seeking HSP. His web site may be found at drtracycooper.com.